Google plans to give multiple mobile-device makers early access to new releases of Android and to sell those devices directly to consumers, said people familiar with the matter. That is a shift from Google's previous practice, when it joined with with only one hardware maker at a time to produce "lead devices," before releasing the software to other device makers. Those lead devices were then sold to consumers through wireless carriers or retailers. The expansion of direct sales marks a bid to exert more control over key features and apps that run on Android-powered phones and tablets, thus reducing the influence of wireless carriers over such devices, these people said. Wireless carriers typically handle marketing and sales of devices and thus can exert some control over the services that run on them. The plan also aims to assuage concerns of smartphone and tablet makers that build devices using Android, many of whom are wary of Google because of its pending acquisition of device-maker Motorola Mobility Holdings Inc., MMI +0.10% these people said. Many manufacturers fear Google will try to boost Motorola's business at their expense, something Google has said won't happen. Under its new model, Google could give Motorola early access to Android software without putting other partners at a disadvantage, said a person familiar with the matter. Android is the No. 1 smartphone operating system, but Google's model for the software has sometimes upset device makers that aren't chosen to work with Google on a lead device, said some industry executives. Now Google will work with as many as five manufacturers at a time to create a portfolio of "Nexus" lead devices that include smartphones and tablets, said a person familiar with the matter. Google also plans to sell the gadgets directly to consumers in the U.S., Europe and Asia through its website, and potentially through some retailers, this person said. The devices will run on Google's forthcoming version of Android called Jelly Bean, and it hopes to have the full portfolio of devices ready for sale by Thanksgiving, this person said. Google also hopes the effort will help rev up sales of Android-powered tablets, which have lagged behind Apple's iPad and Amazon.com Inc.'s AMZN +0.65% Kindle Fire, said one person familiar with the matter. Selling devices directly to consumers online is challenging, particularly in the U.S. Many consumers prefer to test phones or tablets in a store before purchasing. 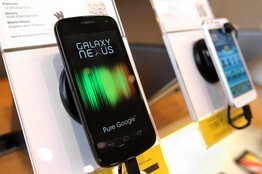 The cost of most smartphones is also subsidized by wireless carriers, which sell the devices with multiyear contracts. The new Nexus smartphones are expected to be sold unlocked, meaning they would come without a wireless contract and can run on multiple wireless networks by inserting a SIM card. Selling an unlocked phone could cost $150 or $200 more than a contract phone, and consumers would have to buy a contract separately. Google in April began selling Samsung Electronics Co.'s 005930.SE -0.23% Galaxy Nexus on its website for $400, or about twice the amount it costs to buy the phone with a contract. Such an approach is common outside the U.S., however. For Google, circumventing wireless carriers has many benefits, including preventing them from blocking certain apps. Currently, Verizon Wireless doesn't allow the Google Wallet app on Samsung's Galaxy Nexus. A Verizon Wireless spokeswoman declined to comment. Carriers also are sometimes slow to push through software updates to phones, and they preload apps of their own choosing on devices. By avoiding carriers, Google and its hardware partners can get devices to market faster, often by several months. Rajeev Chand, head of research at Rutberg & Co., said Android has become a kind of "Wild West" in which app developers have struggled to make sure apps are compatible with hundreds of different Android-powered devices. Both device makers and carriers have left their imprint on devices, meaning the "consumer experience is highly variant," he said. Mr. Chand said Google's shift appears to be a move "to create a more standardized experience for consumers and app developers," similar to that of Apple. Asustek has been working with Google on a co-branded tablet that could be sold online to consumers, people familiar with the matter have said. Asustek previously declined to comment. Other partners include China-based ZTE Corp. and Huawei Technologies Co., which are becoming more important players. Any manufacturers participating in Google's new Android program will each be able to have about a dozen employees working out of the Internet company's Mountain View., Calif., headquarters to get access to Android and work with Google programmers, a person familiar with the matter said. While Google is adding a new revenue stream by selling devices directly to consumers, including a 10% to 15% operating profit per sale, according to past estimates by analysts, the company primarily generates mobile revenue from the sale of ad space on mobile websites and apps, including its search engine. The search engine is preloaded on the vast majority of Android devices. Google also generates some revenue through sales of some mobile apps and digital media such as books, music and movies through its Google Play store on Android devices. But Google stands to generate a much higher cut of such sales if it sells directly to consumers. The company has said it is on pace to generate more than $2.5 billion annually in mobile revenue, or around 5% of total revenue. That figure includes sale of ads on Apple devices, on which Google's search engine is preinstalled. Mobile researcher Horace Dediu recently estimated that Google generates around $2 in revenue per Android device per year and that the vast majority of mobile revenue comes from ad sales on Apple devices. A Google spokeswoman declined to comment. The Chinese government is currently conducting an antitrust review of Google's Motorola deal, which both companies have said they expect to close this quarter. How to root a android device?